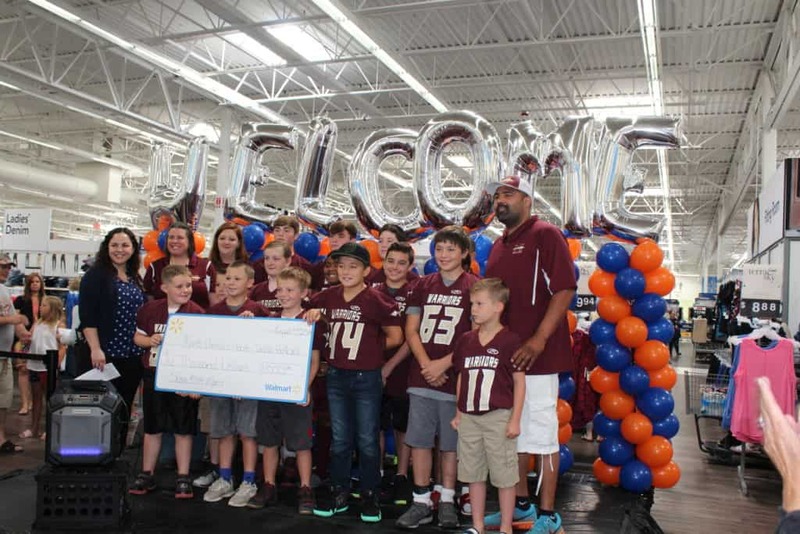 MORRIS – The Grundy County Chamber of Commerce & Industry held a ribbon cutting last week with Walmart to celebrate the store’s new remodel and 30th anniversary. After three months, Walmart’s newly remodeled departments and expanded options have been completed. “We’ve expanded our food categories, home lines and furniture categories. We also have a new pharmacy, apparel, entertainment, and tool departments, a new fresh area and self-check outs,” Store Manager Carrie Moses said at the ribbon cutting. The Morris store has more than 370 employees and has been in the city for 30 years – first off of Route 47 and off Route 6 for the last 20 years. On Friday, Aug. 3 a celebratory ribbon cutting ceremony was held for the remodel with Mayor Richard Kopczick and the Grundy County Chamber. In addition to honoring their 12 employees who have been with the Morris store for its 30 years, Walmart also gave donations to the Boy Scouts, Morris Warriors, Grundy-Three Rivers Habitat for Humanity, and Coal City Middle School. Earlier this year the Morris location added grocery pick up and is currently doing about 80 pick-ups a day, Moses said. Now that the remodel is complete the goal is to increase the pick-ups to more than 100 a day. “We are happy to help our customers. We take great pride in the service we give and our store standards,” she said. Remember that Chamber Gift Certificates can be used at the Morris Walmart. For more information on Walmart visit Walmart.com. For more information on the Grundy County Chamber visit grundychamber.com, call 815-942-0113, or download the free Grundy Chamber App.